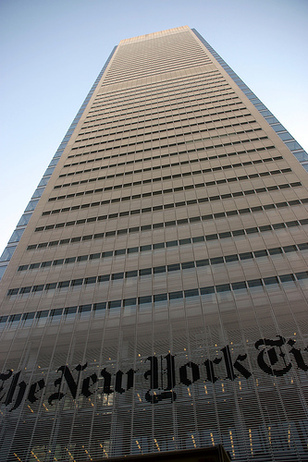 This article explains how the NY Times turned a profit in the 3rd quarter with 324,000 paid digital subscribers. The profit for the quarter was $15.7 million compared to a loss of $4.3 million for the year-ago quarter. "The Times Co. highlighted growth in its paid digital products as “a new revenue stream that has helped offset a decline in advertising revenue.” The newspaper launched a paywall on its website in March. It goes into effect after you access more than 20 articles in a month. After that, you can choose from $15 for four weeks of access to NYTimes.com and a mobile app, $20 for four weeks of access to the website and iPad app or $35 for all of the above." Because of the tiered structure it's impossible to tell how much the NY Times is making on paid digital subscribers. The range is from $4.86 million to $11.34 million. With circulation revenue at $237 million and ad revenue at $262 million whatever the contribution from the paywall, it's a drop in the bucket. But what's important to point out here is that the NY Times has found a balance between a free 20 articles and getting people to pay for use. The world wants the Internet to be free, but this shows that there can be an expectation of having to pay for something you use a lot (or 21 articles worth anyway).